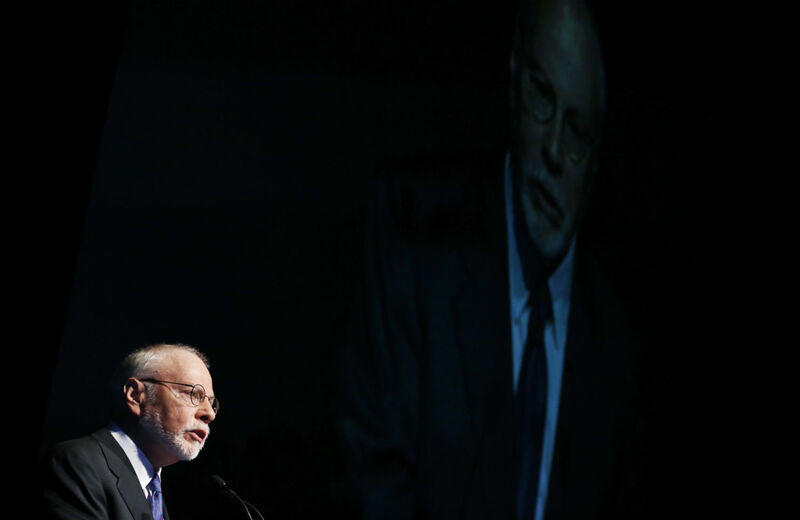 Paul Singer is one of the Republican Party’s most effective fundraisers—and a leading proponent of using military force against Tehran. Singer has a reputation not just for financing a pro-gay marriage faction of the party but as one of the GOP’s most effective fundraisers and a driving force behind bringing Wall Street supporters of Obama over to the Republican Party. But the Post profile barely mentions his other advocacy agenda: the Middle East, and a hawkish foreign policy agenda he funds through an array of think tanks. Like fellow Republican donor Sheldon Adelson, Singer is staunchly pro-Israel. He is on the board of the Republican Jewish Coalition, which held its spring meeting last weekend. He was a member of a large American delegation that went to celebrate Israel’s 60th anniversary in 2008. What Fuller doesn’t mention is that Singer is a huge supporter of groups advocating for hawkish policies against Iran, including promoting the use of military force against Tehran. First and foremost in Singer’s hawkish foreign policy portfolio is the Foundation for Defense of Democracies, a neoconservative think tank whose scholars have promoted “crippling sanctions,” bombing Iran, and sought to downplay how ordinary Iranians might react to a pre-emptive bombing campaign. The hedge fund mogul contributed $3.6 million to FDD between 2008 and 2011, making him the organization second-largest donor after Home Depot founder Bernard Marcus. “Too much has been made in the West of the Iranian reflex to rally round the flag after an Israeli (or American) preventive strike,” wrote FDD’s Reuel Marc Gerecht in 2010. All strategies, such as engagement, sanctions, covert operations, regime change, and the credible threat of military attack must be implemented simultaneously. Taking military action off the table undermines all other options short of war.